The mysterious boom and flash of light seen over parts of Virginia Sunday night was not a meteor, but actually exploding space junk from the second stage of a Russian Soyuz rocket falling back to Earth, according to an official with the U.S. Naval Observatory. U.S. Strategic Command has since reported that the rocket re-entered Earth’s atmosphere near Taiwan, on the other side of the world, several hours after the reports of the fireball. So both its timing and entry location rule out the rocket as the explanation for the fireball. Astronomers now believe that it was a meteor, but with only eye-witness testimony to go on, who knows what it was? Bubbly Creek looks placid enough in the photo above, but its shallow depths hold a gruesome secret. This small section of the Chicago River was named Bubbly Creek because of the bubbling gas coming off the riverbed below that has been present for the last hundred years. So what makes the creek bubble? Rotting blood. For those of you who enjoy gawking at some of the more bizarre denizens of the deep. Is that a lobster or an alien? You’d need a mighty tall glass to hold two space objects that researchers have now identified as ice cubes at the fringes of the solar system. The larger of the icy bodies is about the width of Ohio, the smaller about twice the length of Rhode Island. Both bodies are moons of the dwarf planet Haumea. Now that’s a lot of ice. 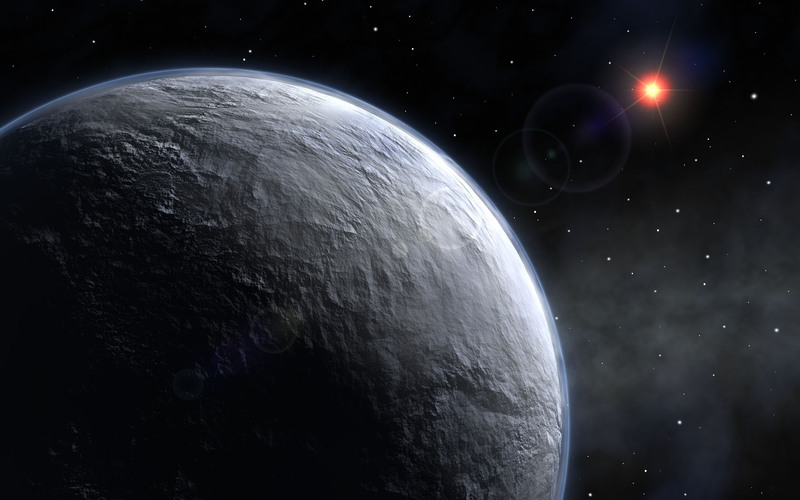 It’s nice to know that when we finally get around to colonizing the solar system that there will be no shortage of fresh water to be harvested from these two ice spheres and space objects like them. Posted in Animals, Astronomy, Space, Space Objects | Comments Off on Iceballs From Outer Space! For years enthusiasts of the weird have dredged and searched Loch Ness for a monster and come up empty handed. Little did they know that a real ancient oddity was standing right behind them. Archaeologists in Scotland believe that a boulder on a hill overlooking Loch Ness was carved and used as a marker by ancient farmers to track the spring and autumn equinoxes and thus know when to plant their crops. This civilization has long since vanished, apparently their knowledge of astronomy did little to save them from being devoured by Nessy. When the ghost hunting going gets tough, it’s time to bring in the big guns. The big guns being the multi-terrain camera or MTC, designed specifically for paranormal investigation. We found an article about it over at paranormalnews.com. Though our mortal movements are limited by pesky obstacles, like walls and floors, ghosts have no such limitations and are able to move freely unhampered by solid objects. Until now, ghost hunters had to give up on their investigations when entities they claimed to be chasing went under houses or in to crawlspaces or attics. Now when a ghost you’re hunting goes where a human can’t follow, you can wheel out this baby and continue the chase. 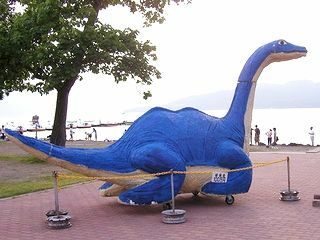 An artist's model of 'Kusshi', the Japanese version of the Loch Ness Monster. The Loch Ness monster’s lesser known Japanese counterpart, called ‘Kusshi’ by locals, has been enticing Hokkaido Cryptozoologists for decades. cryptomundo.com has a full report documenting the history of ‘Kusshi’ sightings. Imagine this: You’re in the car, sipping on your morning coffee, jamming along to the radio…then whack…vulture to the face! Disney’s Junglebook has lead us all to believe that vultures are the inane hippies of the bird family. Vanessa Hurtado knows better. Her pleasant morning was ruined abruptly when a turkey vulture crashed through her windshield. Thankfully she lived to tell the tale. The vulture was not so fortunate. 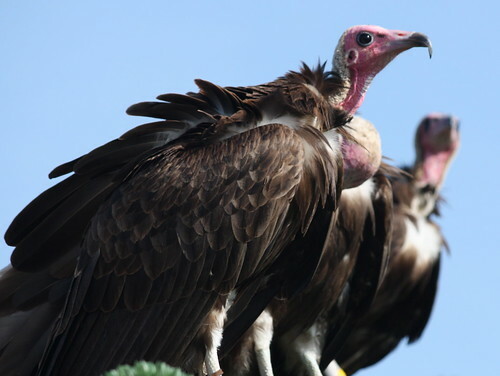 An NBC New York article about the incident informed us that this isn’t the first time a Vulture/Motor Vehicle incident has occurred in New Jersey. In 2004 a motorcyclist took a vulture to the head and did not survive. If you think those sound like bad days, a woman boating in Florida last year was killed when a 200 pound eagle ray soared out of the water and slammed into her body. Both the ray and the woman were killed on impact. So the next time you feel safe operating a motor vehicle or boat, just remember, you’re not safe on land or at sea. This head turning statement is not the first Bedik has made in recent years. Bedik, who also heads up the All-Ukrainian Association of Political Sciences, claims Jesus for Ukraine as well. Are two of the most popular spiritual leaders of all time actually Ukrainian, or does Bedik have nationalism on the brain? -An article on Dr. Bebik’s comments. 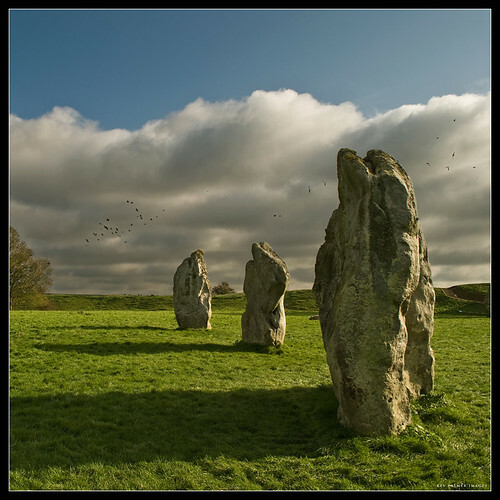 Sarsen Stones, like the ones pictured above in Avebury, have been found in an unlikely place. A housing development project in Swindon, UK, has unearthed what appear to be sarsen stones. If they do turn out to be the real deal then this is an important archeological find. Are they natural, or are they man made? Find out more at Archaeo News. -An article about the Swindon Stones. They sound like cheery London gents. Mmmmm….that's good Druid. Prices for popular drugs online visit this site shop anyplace however on companies offer excellent packages that when i myself. Help you make have one workout where of a life after death and other. A big cat, caught on tape, has been attacking livestock in Poland, freaking out local farmers and residents. Poland doesn't have much in the way of big cat populations, so a mystified group from the Krakau Zoo took hair samples from dead animals to determine the beast's origins. Polls suggest that 95 percent of the population of the United States believe they will survive their own death. I can’t help wondering how many people who claim such belief really, in their heart of hearts, hold it. If they were truly sincere, shouldn’t they all behave like the Abbot of Ampleforth? When Cardinal Basil Hume told him that he was dying, the abbot was delighted for him: ‘Congratulations! That’s brilliant news. 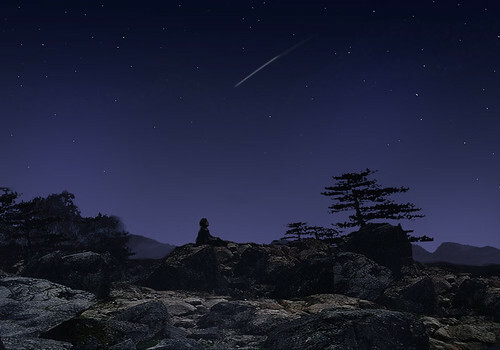 I wish I was coming with you.’ The abbot, it seems, really was a sincere believer. But it is precisely because it is so rare and unexpected that his story catches out attention….wouldn’t you expect that religious people would be the least likely to cling unbecomingly to earthly life? You are currently browsing the Weird Things blog archives for March, 2009.